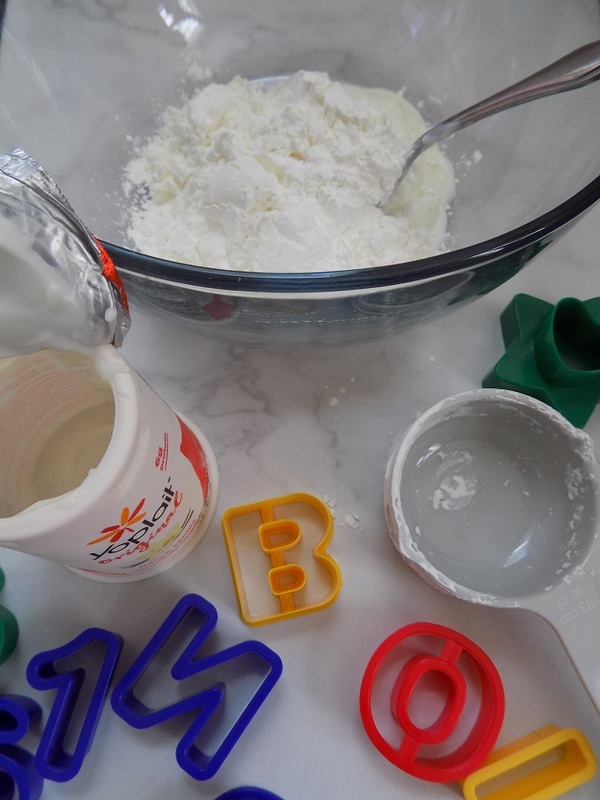 One Savvy Mom ™ | NYC Area Mom Blog: 2 Ingredient Taste-Safe Yogurt Play Dough Recipe + Super Fun DIY Kitchen Experiment For Toddlers! 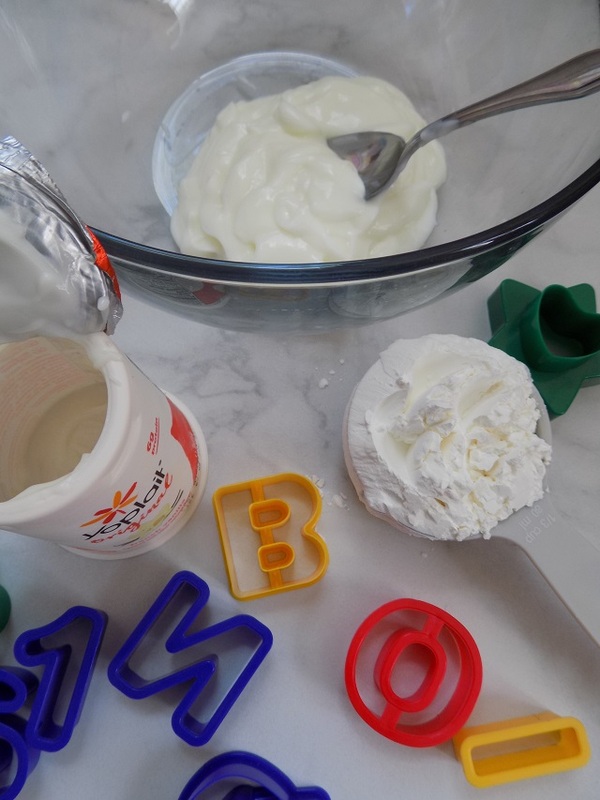 2 Ingredient Taste-Safe Yogurt Play Dough Recipe + Super Fun DIY Kitchen Experiment For Toddlers! My toddler absolutely loves play dough! It's a fun medium to play and create with, and it's even more fun when we make our own. 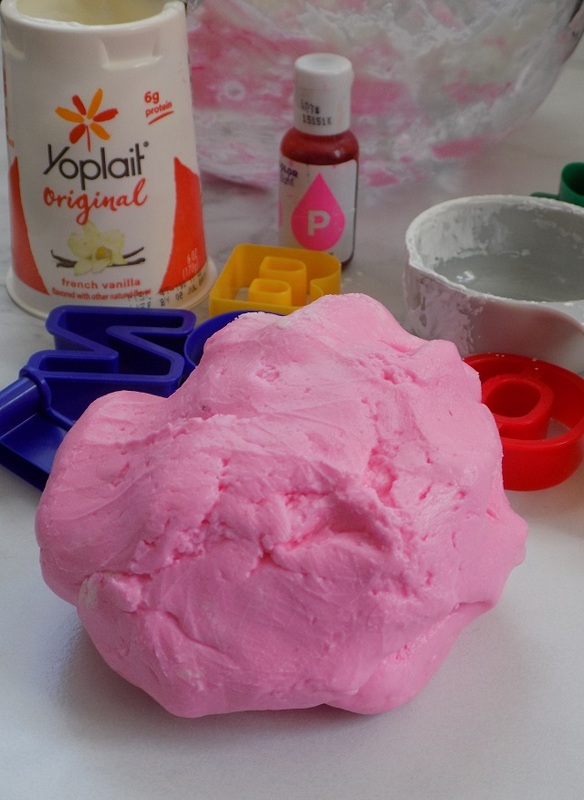 This 2 ingredient taste-safe yogurt play dough is silky and soft, and it smells absolutely scrumptious! 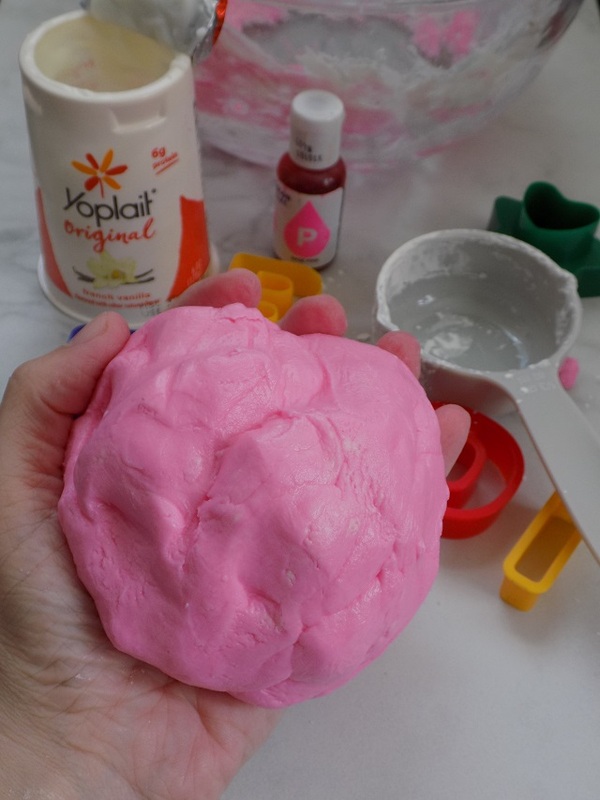 If you're looking for a fun science experiment to do in the kitchen with little one's, that also results in endless hours of creative play and fun, this yogurt play dough is definitely worth trying. All you'll need is two simple ingredients (that you most likely already have on hand), a mixing bowl, and a spoon. I love simple recipes like this. My toddler can help stir and knead the ingredients, and then he gets to enjoy the fruits of his efforts, by playing with his homemade yogurt play dough! You can even divide the yogurt play dough up and use a few drops of food coloring to make a rainbow of colors. 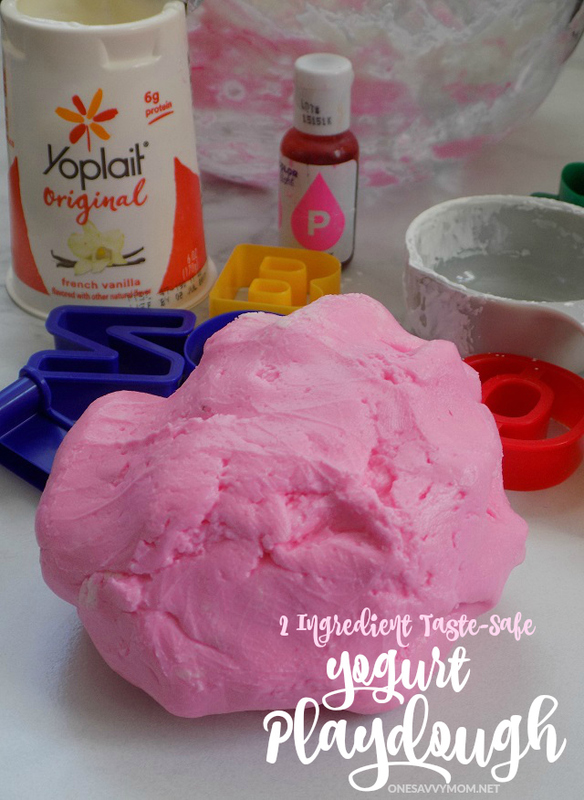 Grab the simple supply list and instructions below, to make your own 2 ingredient taste-safe yogurt play dough. Add 6 oz of yogurt to a mixing bowl. Add in 1 cup of cornstarch. Stir ingredients until combined well. Fold in the second cup of corn starch. Knead well. Dough will thicken as you knead. Optional: Add a drop or two of food coloring to make a rainbow of colors of 2 Ingredient Taste-Safe Yogurt Play Dough. 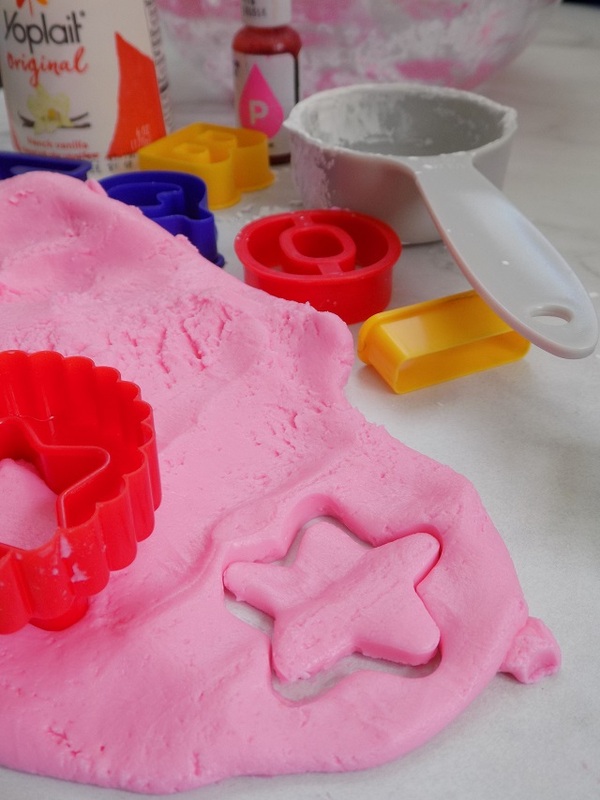 Grab your play dough toys and cookie cutters, and have fun!